What do you think a conversation between Anakin Skywalker and his older self as Darth Vader would sound like? 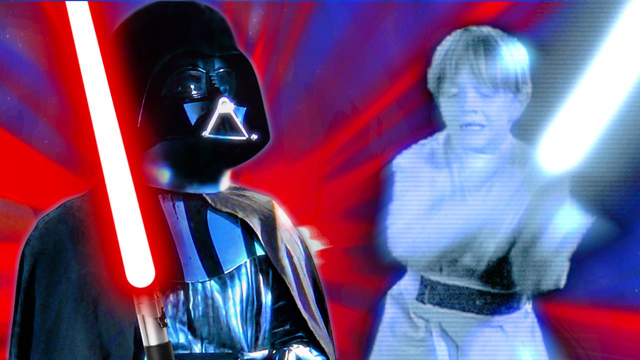 In this next video Darth Vader is able to speak to his younger self thanks to hologram technology. Apparently young Anakin only wants to talk about Pod Racing and Droids, and Darth Vader only wants to warn his younger self never to jump over Obi-Wan Kenobi in a fight if Obi-Wan has the higher ground. Because you know... that move led him to fall into lava with no limbs and then his face got burnt off. Written by: Katie Shew at 11:53 a.m.